This short course will help you learn how to implement the new vision for K-12 education through a curriculum adaptation strategy. 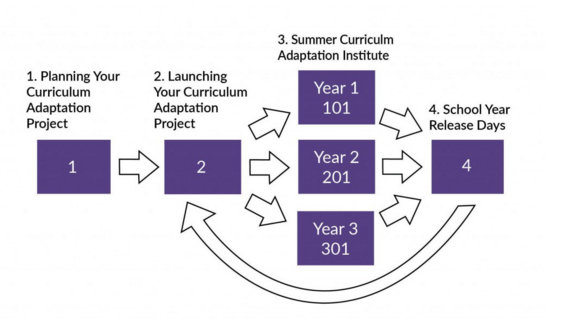 The course links off to an extensive Curriculum Adaptation Toolkit that includes a broad set of materials to support teams in adapting instructional materials. There are multiple approaches for implementing the new vision for K-12 science education across schools and other learning venues. This short course highlights a range of relevant ideas for curriculum adaptation and links off to supporting resources to help teams engage in this work. This approach helps educators adapt instructional materials for use in the classroom while also supporting teachers in learning about how to teach in support of equitable, "three-dimensional," NGSS-aligned instruction. 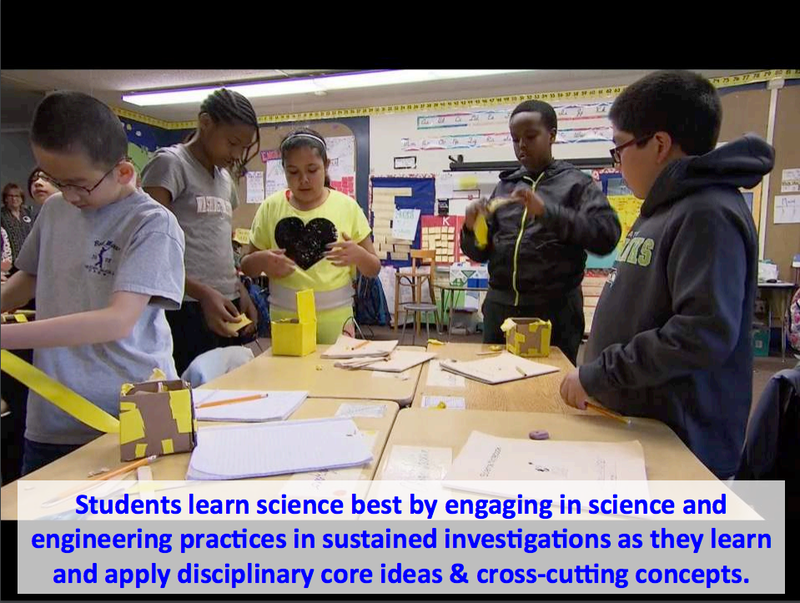 Research shows that students learn science best by engaging in three dimensional science learning — that is, by engaging with science and engineering practices (SEPs) as part of sustained and meaningful investigations, as they learn and apply disciplinary core ideas (DCIs) and cross-cutting concepts (CCCs). This integrated approach to learning has major implications for how instructional materials should be written in order to support students as they learn science. This three-dimensional model is also the basis of the Next Generation Science Standards (NGSS). This short course offers activities with linked resources to help you learn how to adapt curriculum materials to fit with this new three-dimensional vision. The sequence assumes that you are familiar with the basics associated with the new vision and the associated equity goals for science education. Using curriculum materials aligned to NGSS is a crucial part of implementation, but there are very few aligned curricula to choose from, districts may not have resources to purchase new materials, and teachers typically don't have time to develop new curricula from scratch. 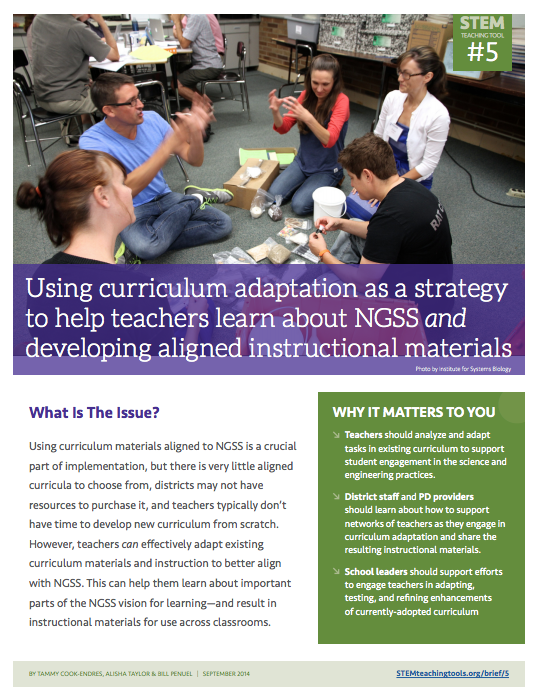 However, teachers can effectively adapt existing curriculum materials and instruction to better align with NGSS. This can help them learn about important parts of the NGSS vision for learning—and result in instructional materials for use across classrooms. The changes called for in the Framework for K-12 Science Education and NGSS require teachers of K-12 science to learn new concepts and take on new stances. Teacher learning will take time. It needs to be sequenced so that topics addressed can be put to immediate use and also fuel professional learning into the future. 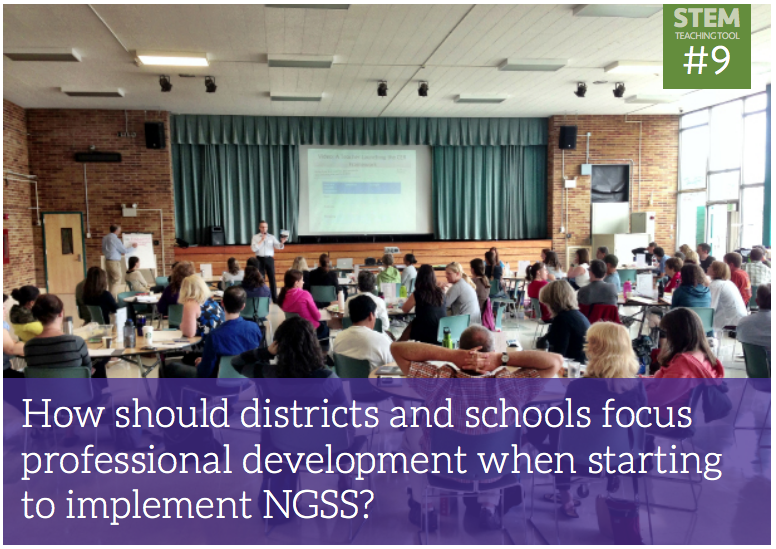 Long-term professional development (PD) plans should be informed by emerging developments in NGSS-aligned resources and instructional materials as these tools are shared across states and networks. There are multiple instructional models that fit with the new vision . Curriculum adaptation should be focused on one instructional model that fits the local context and existing instructional materials (assuming they are going to be amended). These different instructional models all engage students in three-dimensional instruction—which involves engaging them in the science and engineering practices (and not the traditional scientific method)—and build on student’s prior interests and experiences . There is a strong argument to be made that curriculum adaptation should be focused on differentiating instruction in order to engage all students in meaningful science learning. Chapter 11 of the Framework for K-12 Science Education lays out the broad vision for engaging all students in meaningful science learning. Read the section on inclusive instructional approaches section and reflect on how instructional materials can be developed to take up those approaches. Appendix D of the NGSS and the associated case studies take an examination of inclusive instruction to the next level of detail for different demographic groups. For example, there are specific ways to scaffold the participation of English Language Learners in the science and engineering practices. 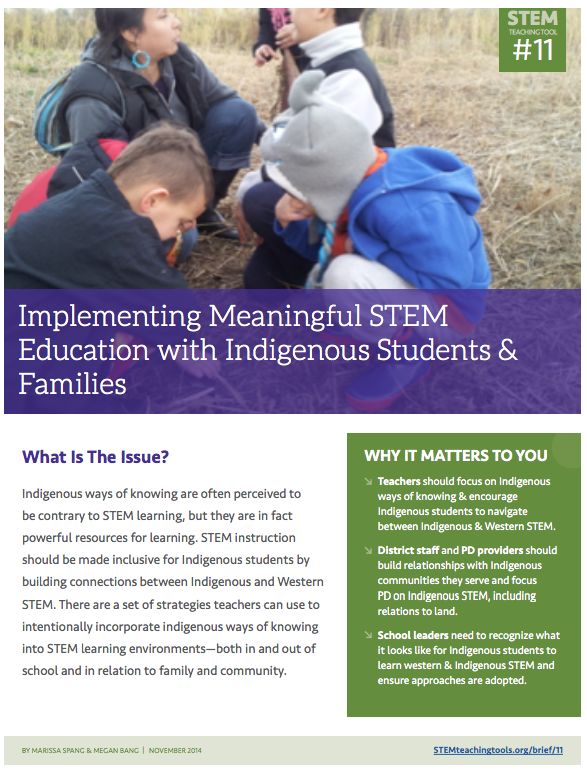 As another example, there are instructional approaches for respecting and engaging youth from indigenous communities in science learning. The goal here is to adapt instructional materials in a way that allows classroom learning to overlap with the lives of the students to whatever degree possible while supporting their learning through active sense-making of natural phenomena. Based on several years of curriculum adaptation work in Seattle Public Schools and Renton School District, the STEM Teaching Tools team has developed a set of materials that can be used by others to launch and support curriculum adaptation projects in support of the new vision. Read and reflect on this article that describes this multi-year effort. What is similar or different about your context if you were to launch a similar project? Then explore the Curriculum Adaptation Toolkit to familiarize yourself with the range of resources available. These materials should provide a starting place for finding your way into the work. That said, there are different choices that could have been made for the focus of the work, so you may want to adjust your strategy given your context and purposes. These three tools offer insights into how leadership can best support teachers in PD or curriculum adaptation work. Curriculum adaptation should depart from the "information delivery" format; don't just tell teachers about new curricula or instrucitonal strategies. Instead, we recommend centering PD days on creating opportunities for teachers to analyze and engage with "rich images" from the classroom, such as video or student work. This will help teachers make sense of three-dimensional learning for themselves and gain a richer understanding of what it looks like. This short summary of a research study outlines strategies that tend to make PD more successful. The study found that improvement initiatives are more successful when teachers share their expertise and resources, in formal or informal settings. This brief outlines what factors help build teacher relationships and professional communities. Successfully implementing science standards based on the NRC Framework requires major changes to the way science instruction is conceived of, structured, supported, and resourced. To help with these challenges, and with extensive feedback from successful district-level science education leaders, Achieve has developed a set of three new resources to support district leaders to strategically implement science standards. Many teachers, schools, and districts are now challenged to identify curriculum materials that support the vision of the Next Generation Science Standards (NGSS) and A Framework for K-12 Science Education. Whether adapting existing materials or adopting new ones, it is important to evaluate all curriculum materials for deep alignment to multiple dimensions of the new vision. This tool highlights how the Educators Evaluating the Quality of Instructional Products (EQuIP) Rubric and support videos can be used to guide that process. The following materials may be of additional interest to those leading curriculum adaptation efforts. This presentation was created by Philip Bell, Shelley Stromholt, William Penuel, and Katie Van Horne in March 2016 for the CSSS Annual Conference. The slides can be used to guide educators in a brief introduction to the new vision for science education, the curriculum adaptation model, grounding instruction in everyday science phenomena, changing classroom discourse patterns, analyzing student work, and creating three-dimensional formative assessments and tasks. The presentation also links off to even more great resources on these topics.